What Does Visual Effects Mean? Visual effects is the process of creating imagery outside of live action shoots. This imagery is typically either too elaborate or even dangerous to create for or capture on film. Some visual effects (also called F/X or VFX) combine live action and say, computer generated imagery, while others are totally computer generated. Some of the most celebrated VFX scenes can be seen in films such as The Dark Knight (2008), Iron Man (2008), Titanic (2007), and Pirates of the Caribbean: Dead Man’s Chest (2006). Visual effects degree programs are readily available at art schools, technical schools, and specialty schools, but did you know that many traditional schools also offer degrees in this area? Not only this, but aspiring visual effects artists have several degree types and levels to choose from including a B.A., B.F.A., B.S., M.A., and even an M.F.A. in visual effects. Visual effects is such a specialized field that (very) specific skills are needed in order to have a successful career. For starters, aspiring visual effects artists must have advanced knowledge of most F/X and other software programs because many productions require the use of multiple programs to achieve the desired effect. Just a few of the programs used in the industry include Maya, Matchmove, Mudbox, XSI, Nuke, PRman, Shake, Movimento, and Lightwave 3D. Many VFX studios use custom software, so aspiring VFX artists must also have the ability to catch onto new programs quickly. 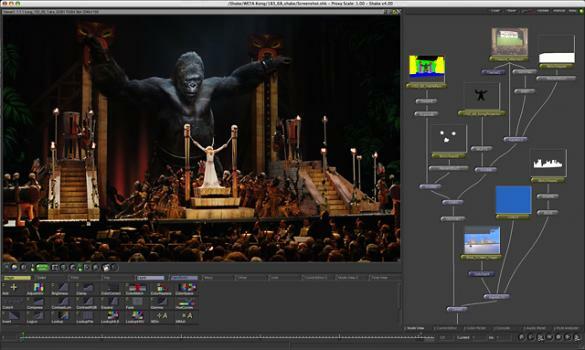 Fortunately, required coursework for visual effects programs includes instruction in common VFX software and other computer programs. Visual effects majors must complete a variety of general education courses, core and major courses, and electives. Required core courses may include Drawing, Design, Color: Theory and Application, and Studio. Major courses include Digital Lighting and Rendering, Visual Effects, Digital 3D Effects, Compositing, Matte painting, Programming Models and Shaders, Modeling and Animation, Concept Development for Visual Effects, and Visual Effects Studio. Required general education courses are in the areas of art, social and behavioral sciences, English, and communications. What Can I do with a Degree in Visual Effects? Visual effects artist work mostly in the film and video industry, gaming, and software design. Job a few job titles include visual effects artist, art director, software developer, and game designer. Visual effects artists have many opportunities to advance in all fields mentioned. In the film and video industry, many artists start out in entry-level positions such as assistant visual effects artist, but with the right skills and talent, you can advance to senior visual effects artists or even art director. In gaming, you can also advance to upper level positions such as senior game designer or art director and in the software industry, you can advance from an entry-level software developer to senior software developer or senior designer.